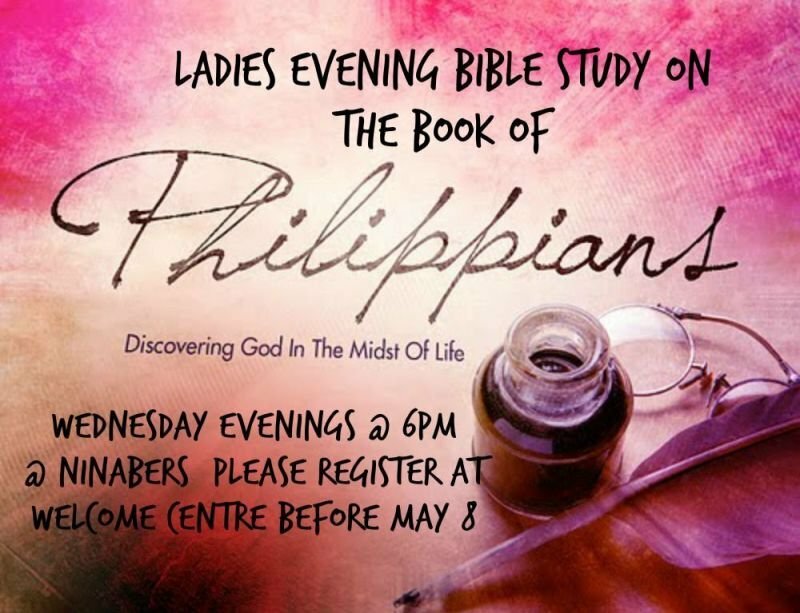 Women's Evening Bible Study - Philippians - Lighthouse Church, Amherstburg, Ontario. Disappointment, pain, betrayal or the circumstances of daily life can rob you of your joy. Learn to bear all things and overcome through Christ who strengthens us. Learn how you can have all joy despite it all and rely on His promises through this letter from the Apostle Paul. Fee for the Workbook for the Women's Evening Bible study on the book of Philippians. Weekly, evening Women's Bible Study on the book of Philippians. Study will take place at the Ninaber home. Begins, Wednesday, May 15 @ 6:30pm. Cost is $20 for the Workbook. Precept Study on Philippians overview: Disappointment, pain, betrayal or the circumstances of daily life can rob you of your joy. Learn to bear all things and overcome through Christ who strengthens us. Learn how you can have all joy despite it all and rely on His promises through this letter from the Apostle Paul.